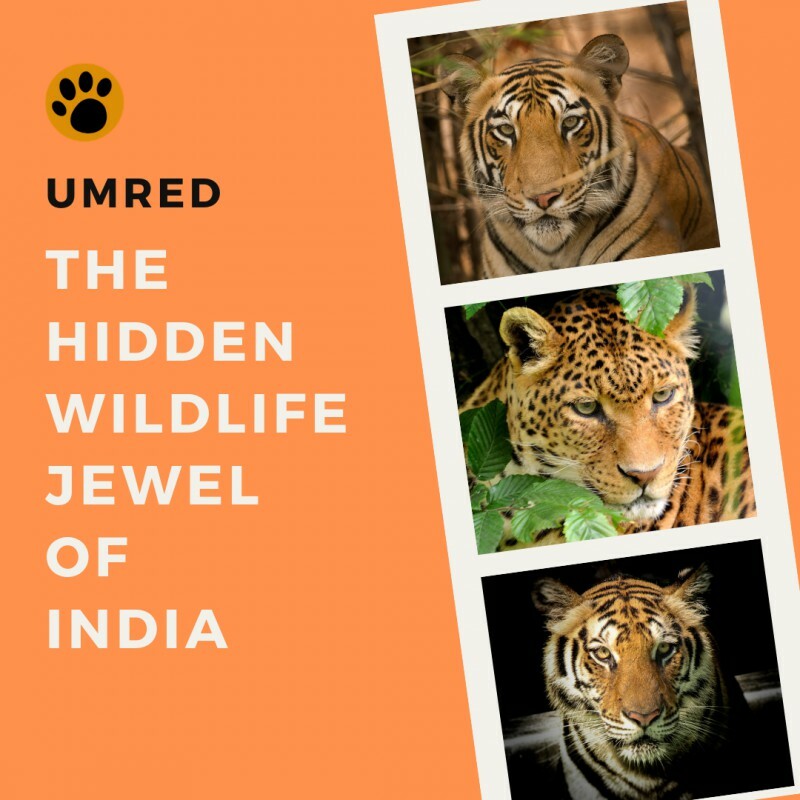 Umred – A wildlife sanctuary that has been a hidden gem for now! The Umred Karandla Tiger Reserve is a smaller and less crowded park but definitely a place to spot the big cats and other mammals! This sanctuary is locked in the arms of the nature and is adorned with picturesque landscape and very convenient to visit – it is approximately 60 km away from Nagpur city so you fly into Nagpur and then drive about an hour away to the jungle. This Sanctuary is also contiguous with Tadoba Andhari Tiger Reserve through forest along the Wainganga River. It is located 40 km north of Tadoba-Andhari Tiger Reserve and 50 km southwest of Nagzira Wildlife Sanctuary. Recent animal sightings in the park have been extremely good. Umred Karandla is around 1.5 to 2 hours drive from Nagpur. What are the key gates and zones? The biggest attraction of course are Tigers and Leopards that can be seen very often in this park. There are 6 Tigers in which five are females- Chandi, Fairy, Collarwali, Seeta, Geeta and one male i.e Citadel. Chandi has 3 cubs of 12 months. There are also 7 leopards in this area which makes a high chance to witness your favorite animals. Besides, in the winter months, variety of migratory birds can also be spotted in the Gothangaon Gate. Some of the birds that can be easily spotted here are Racquet tailed Drongos, Bee-eaters, Parakeets, Shikra, Wood-peckers, Jungle fowls, Crested serpent eagle, Buzzards etc. You can reference the E-Bird list for a full ist of Birds in the region. Morning and evening safaris happen on a daily basis like other parks. The duration of a safari is also 3.5 Hours across all the three gates . Umred offers a good mix of super deluxe and budget accommodation that WildTrails has partnered with for your stay. When is a good time to go there? Starting from now to the summer months! Reach out to our experts to find out more. Also, access sightings information for the park from the WildTrails App.